Jane is a young New York woman who can never seem to find the right man-perhaps because of her secret obsession with Mr. Darcy, as played by Colin Firth in the BBC adaptation of Pride and Predjudice. When a wealthy relative bequeaths her a trip to an English resort catering to Austen-obsessed women, however, Jane's fantasies of meeting the perfect Regency-era gentleman suddenly become more real than she ever could have imagined. 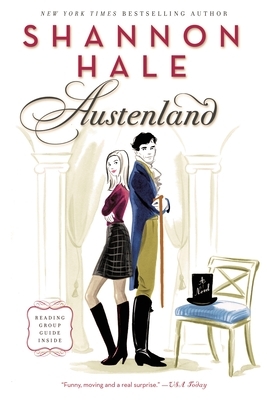 Is this total immersion in a fake Austenland enough to make Jane kick the Austen obsession for good, or could all her dreams actually culminate in a Mr. Darcy of her own?